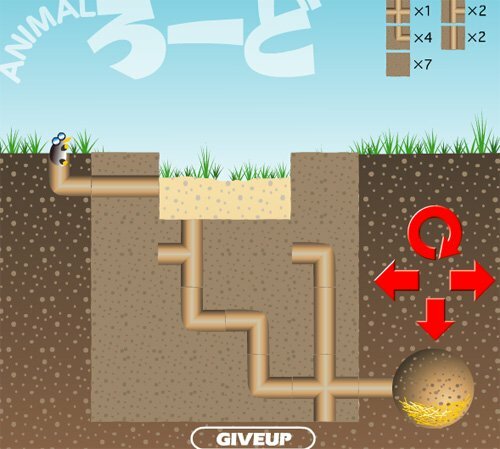 You need to find your way through the maze by using various tools you collect along the way. 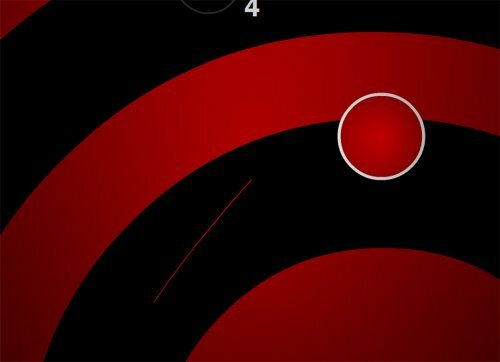 This maze game is an excellent representation of exactly what all games of this genre should be. directions:There are various tools that will help you along the way and try not to get lost. 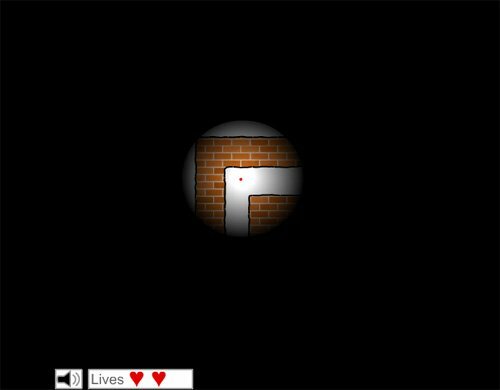 Use the arrow keys to move yourself through the maze and find items which will make the game easier for you as you go. 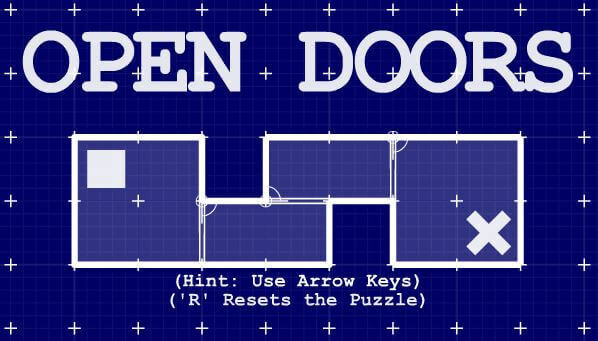 This game is a very fun and addicting example of how to make a proper maze game. 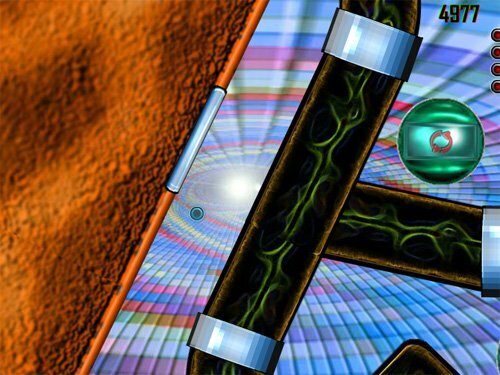 Simple it its effects but very effective in creating a puzzle of sorts and a labyrinth that makes you think of a way to find your way through the maze of walls and win the game. 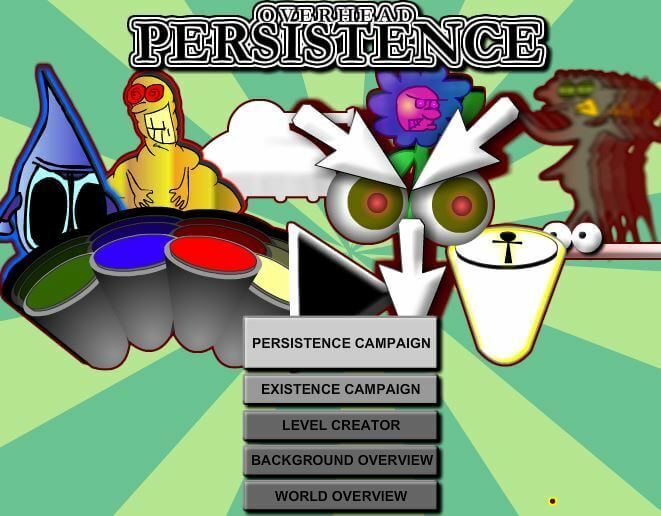 You will need to collect various power ups and keys as you pass through the progressively harder levels of this game to make it to victory. 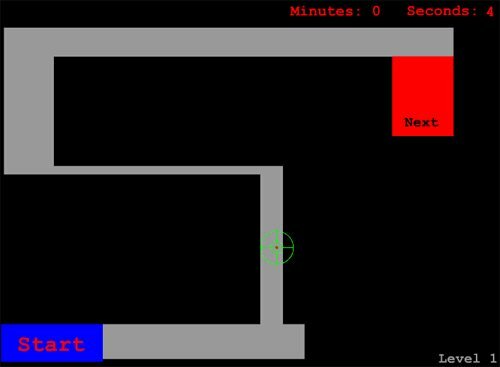 The game does get quite difficult and the mazes become more challenging as you progress through levels of the maze. 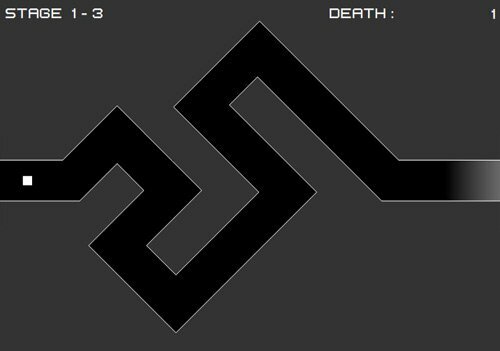 The instructions for labrink are quite simple, you navigate the maze by usiung the arrow keys and moving your black circle through the maze. Try to get the key and escape through the exit door before time runs out. 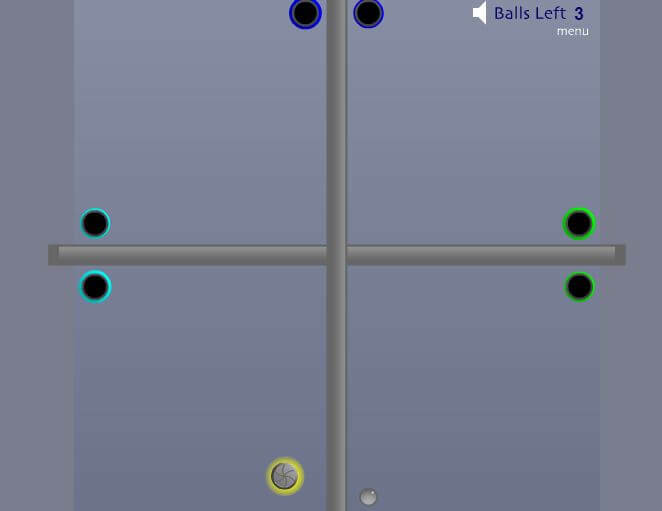 Here you can see the game consists of a pretty basic looking maze. 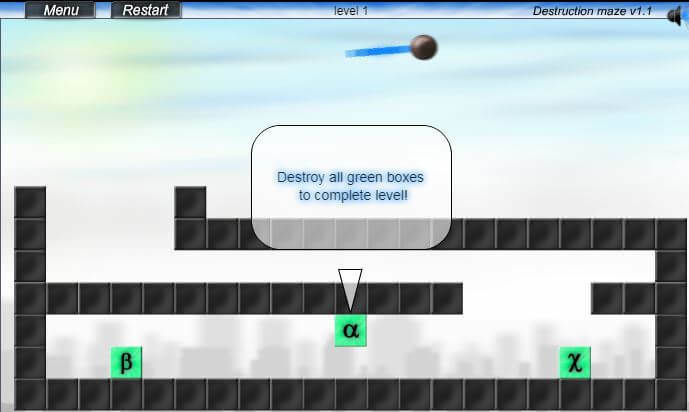 It starts out pretty easy and you can find your way through level one without running into any huge problems. 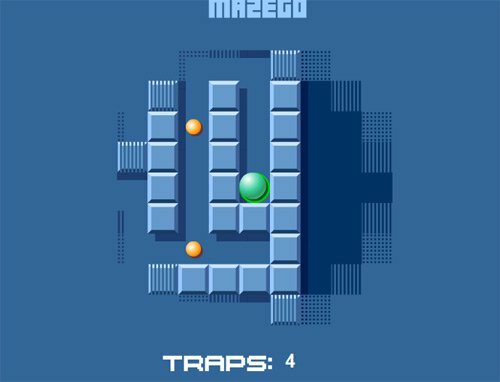 The game gets progressively harder as you get to higher levels and the mazes become more and more difficult to navigate. When you finish off the maze you will receive a "report card" of types. This will tell you your victory time and how long it took you to complete the maze. 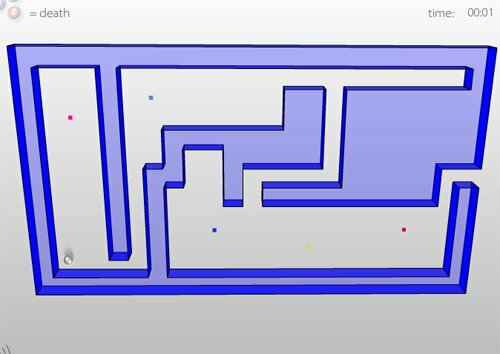 If you are not satisfied with your score you can replay the maze to improve your time or move on to the next level and the next more challenging maze. You will see little symbols in your passing through the mazes that look like splatter marks, they will take you to another portal area where you can navigate underground passages in the different mazes. You need to use these to get to areas of the labyrinth that are blocked off from easy access. The further you make it into the game the harder the mazes get. This is only level 3 and you can see how much more complex and large the maze is than level one was. These are just a couple of the screen shots from the labrink game. 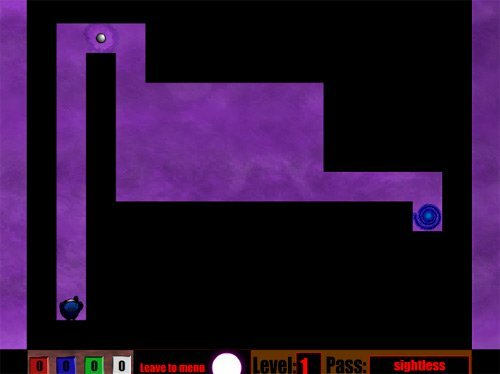 We thought this was one of the best maze games we have played in a while and we think you should enjoy it. 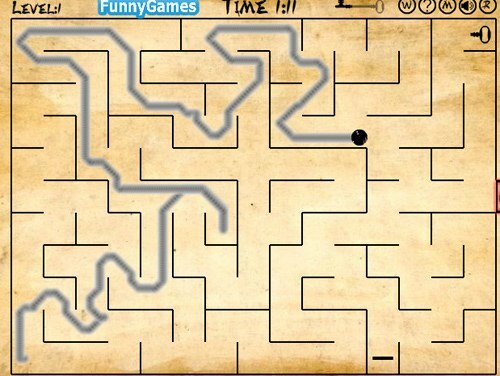 Quite the challenge to complete all of the mazes but that's what you are here at all maze games for isn't it ?